Here’s How to Unload Yer Loot! 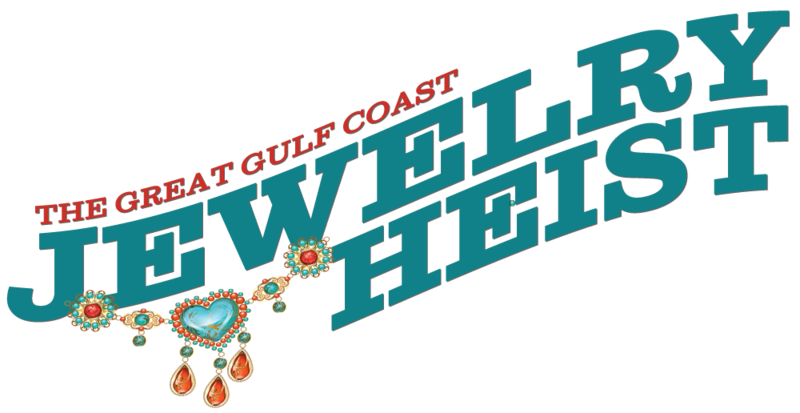 Got some jewelry, watches, or coins that you’re hankerin’ to donate to the Great Gulf Coast Jewelry Heist? Costume jewelry with silver, semi-precious stones, crystals, etc. Wanna gather your friends, co-workers, and customers and host yer own shindig to git jewelry donations? You can sho’ nuff do that! Use the button below to contact the folks at Gulf Coast JFCS, who’ll tell ya how. Tell me more about hostin' a jewelry donation shindig! Everybody donatin’ jewelry is entered to win a door prize! I wanna donate money instead of jewelry! Then, unload your loot at these fine biznesses!